Ensign is the national flag flown on a vessel to indicate nationality. 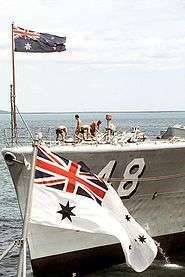 The ensign is the largest flag, generally flown at the stern (rear) of the ship. 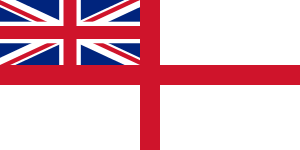 Naval ensigns, used on warships, may be different from the civil ensign (merchant ships) or the yacht ensign (recreational boats). Large versions of naval ensigns called battle ensigns are used when a warship goes into battle. The ensign of the French régiment de Navarre, 1745. 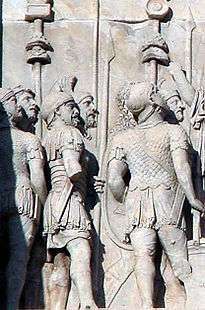 Ensigns, such as the ancient Roman ensigns seen here in the Arch of Constantine, are not always flags. Ensigns are usually at the stern flagstaff when in port, and may be shifted to a gaff (if available) when the ship is under way, becoming known as a steaming ensign. 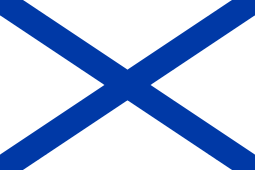 A civil ensign (usage symbol ) is worn by merchant and pleasure vessels. In some countries the yacht ensign, used on recreational boats or ships instead of merchant vessels, differs from the civil ensign. 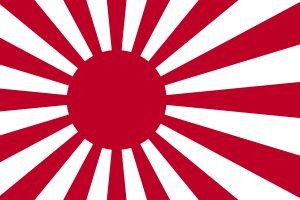 Many countries do not distinguish between these uses, and employ only one national flag and ensign in all cases; in the United States, for example, all ships of the seagoing services of the United States Government with the exception of the United States Coast Guard fly the national flag as their ensign, although the ships of some agencies also fly an agency flag as a "distinguishing mark." Other countries (like the United Kingdom, Ukraine, Italy, Russia, South Africa, Australia, New Zealand, and Japan) use different ensigns. Such ensigns are strictly regulated and indicate if the vessel is a warship, a merchant ship, a ship under contract to carry mail, or a yacht, for example. 1 2 Znamierowski. "Types of flags". The world encyclopedia of flags. p. 31. ↑ Znamierowski. 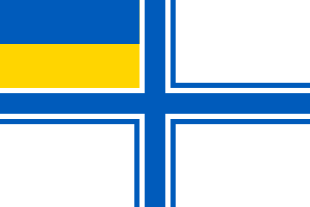 "Naval ensigns and flags". The world encyclopedia of flags. p. 88. ↑ Znamierowski. "Air force flags". The world encyclopedia of flags. p. 85. ↑ Snell, Melissa. "Pimbley's Dictionary of Heraldry". Znamierowski, Alfred (2002). The world encyclopedia of flags : The definitive guide to international flags, banners, standards and ensigns. London: Hermes House. ISBN 1-84309-042-2.